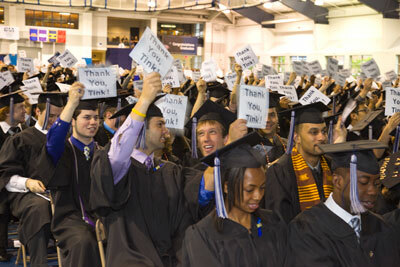 generosity and commitment to the university. 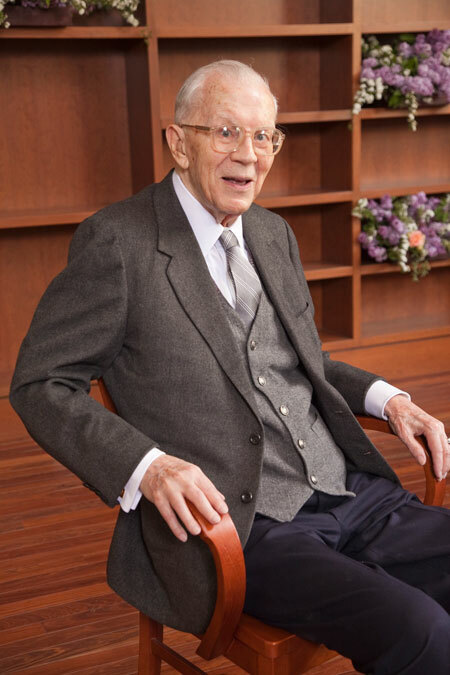 Tinkham Veale II’s support of his alma mater began just after his graduation from the Case Institute of Technology as a mechanical engineering major in 1937 and has been a constant over the past 74 years. Most recently, through his philanthropic organization the Veale Foundation, he gave the university an opportunity to significantly enhance student life on campus with a $20 million commitment for a new university center. The Tinkham Veale University Center will be centrally located on campus, near Severance Hall and the university’s Kelvin Smith Library. This will not be the first time that one of Veale’s gifts will leave such a lasting mark on the university. His previous leadership gifts have been utilized to build, enhance and maintain the Veale Convocation, Recreation and Athletic Center—where this weekend’s commencement activities take place—and the Veale Natatorium. Veale was born in Topeka, Kan., and started his first job at 16, working in the state’s oil fields. After graduating in 1937, he registered as a professional engineer with the state of Ohio in 1940 and bought a stake in a prosperous engineered goods manufacturer in 1941. In 1960, Veale and his associates formed Alco Standard Corporation. The success of Veale’s strategy was his philosophy of “corporate partnership”: acquiring numerous small, privately owned companies and making the proprietors his partners, allowing them to continue under their own management while providing them with capital and strategic direction. Today he is chair and the largest shareholder of HTV Industries, Inc., a private holding company with diversified business holdings, including manufacturing, distribution, technology and banking. He is also donor and a trustee of the Veale Foundation. Veale received the Silver Bowl Award from the Case Institute of Technology in 1980, the Gold Medal Award from the Case Alumni Association in 1982, and the President’s Award for Distinguished Alumni in 1998. He is a lifetime member of the Case Reserve Athletic Club, which presented him with its first-ever Olympian Award in 1997. In 2003, he received the University Medal, the university’s highest honor.